High-Quality Bejeweled Princess & Queen Costume Crowns, Beautiful Metal Crowns and More at Dallas Vintage Shop! 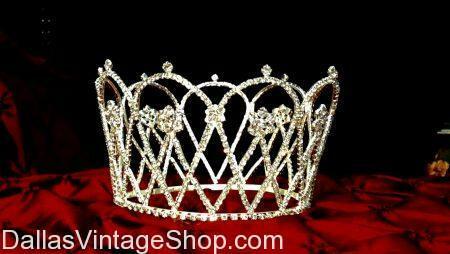 Dallas Vintage Shop carries crowns for every occasion! These high-quality metal crowns are perfect for stage performances, costume parties, pageants and more!